How your day have been? You're most welcome. Me, just the usuals. Hello there. We havnt talked before but I'd just like to say that I like your avatar. You made a good choice when choosing it. Despite I like Instrutilus, and in a way I appreciate his tenacity for his "vision", but I understand why others are exhausted by his pugnacious behaviour when you don't agree with him. He feel like a victim but he makes his own enemies. How are you enjoying the forums thus far? I'm good. I'm reading more than writing recently, but I'm good. And you can have a very late welcome to ZU too! Thanks! It's one of my favorite scene from all games. I like yours as well. Mine's just something random, and I'm actually thinking of changing it soon, but thanks anyway. Hope you continue to enjoy ZU! True! 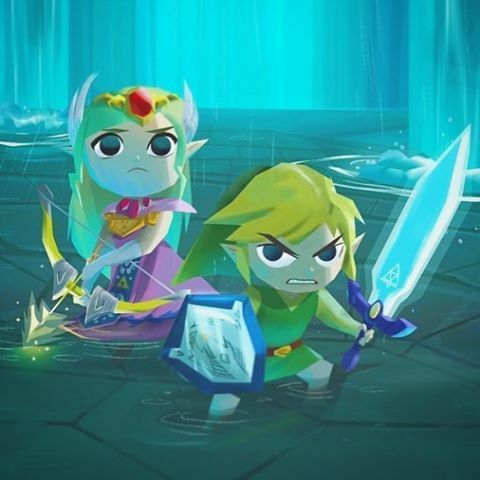 And Zelda fighting along side of Link was amazing! Of course I will continue to enjoy ZU! I'm a Zelda fan! This is the place to be! At least she did something. OoT just sits there when the Master Sword lands RIGHT NEXT TO HER. Just pick it up, future games prove you can! How's it going? I see you're new, so I wanted to say hi haha. What do you think of ZU? I'm fine thanks! How about you? Well I'm so please to discuss with other Zelda fan. Some of them have very interesting way to see the series. I like it! And the forum, with all the option and stuff, is one of the best I ever seen. I should subscribe before! Yeah the Zelda aspect is really great -- I like it a lot because of the other stuff too, though. You should check it out if you haven't already!